It we talk about foot problems, we talk about common skin disorders. Our feet carry a lot during the day. Not only weight, but also heat, cold, irritation, infections etc. 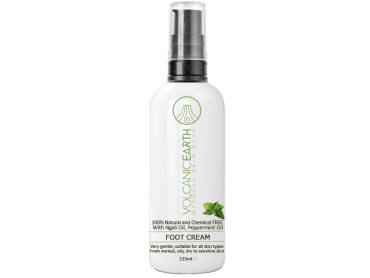 Taking care of your feet preventive is a good start. Volcanic Earth Foot Cream and Foot Srub helps to relieve skin irritation, itchiness, skin redness. Soothe tired feed and increase circulation. Hydrates, nourishes, restores your feet to a youthful appearance.